An illustration I made for a The Daily Indie article about ‘Shabazz Palaces’, one of the acts and curators at Le Guess Who? festival. The most recent music albums of Shabazz Palaces are made from the viewpoint of ‘Quazarz’, an alien from another galaxy. 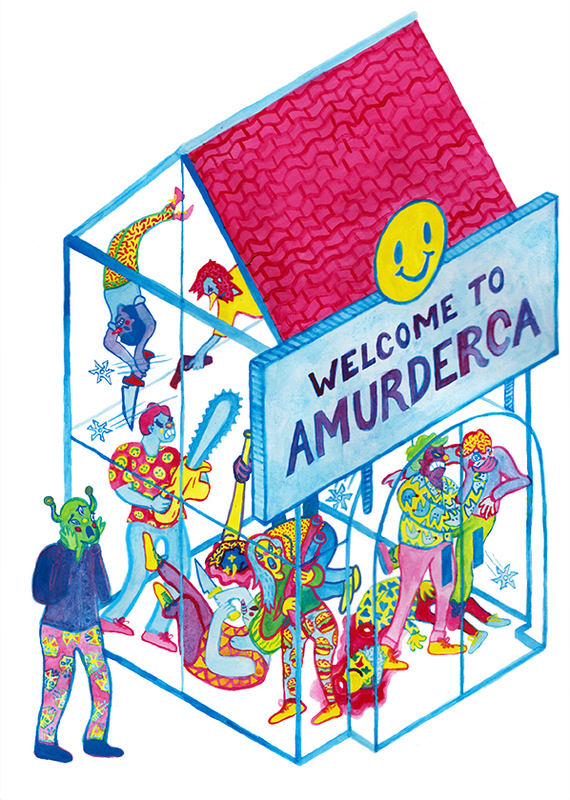 Quazarz visites the land of ‘Amurderca’, a clear reference to America, where shootings and murders are an everyday reality.